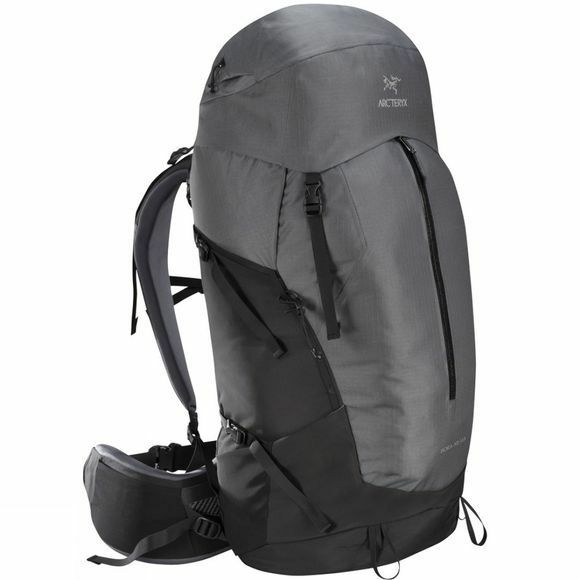 The Bora AR 63 Rucksack from Arc'teryx is a durable pack that is deal for hauling your kit through multi-day treks. 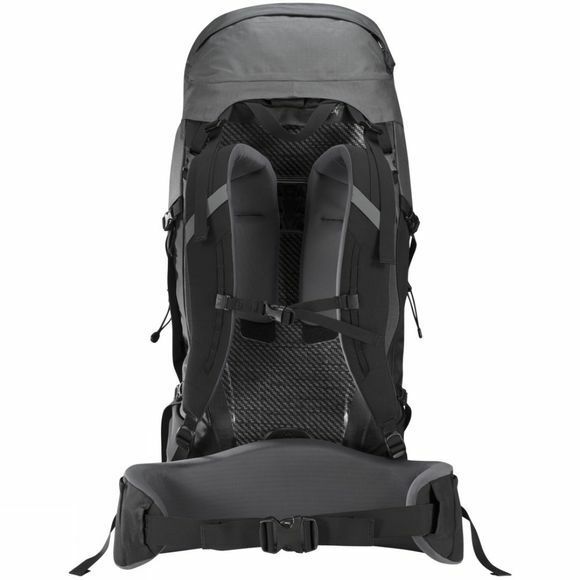 A ventilated back panel is accompanied by a Thermo-molded Tegris frame sheet and aluminium stays along with a RotoGlide hipbelt and GridLock shoulder straps to ensure excellent carrying comfort. The RotoGlide hipbelt, in particular, is key in this pack as it adjusts to changes in your back length as you move which, in turn, helps to eliminate any chaffing that might occur over a few days trekking. The GridLock shoulder straps adjust to both height and width to ensure a comfortable fit for all who use the pack. The use of fabric mapping with a high and a low denier nylon, allows Arc'teryx to keep weight to a minimum without sacrificing on durability, making sure to deliver the excellent quality kit they are renowned for.